One upon a time, postcards were the mainstay of advertising that the internet is today. And postcards have never lost their appeal. In fact, due to the popular EDDM (Every Door Direct Mail) program of the U.S. Postal service, they are enjoying a renaissance of popularity. We’re expert at designing and printing postcards and mailers. Styles range from black text and logos on white paper, to full-color, full-bleed (printing to the edge of the paper) dandies, as bright as Smithville Lake on an autumn afternoon. Well-designed postcards convey at a glance the critical information you want to communicate. A new store, a party, a sporting event whether you need a short run of twenty immediately, or a large of 5000 for an economical price, Streamline Print & Design is the answer. We can print from your design files, or provide as much design support as you need. 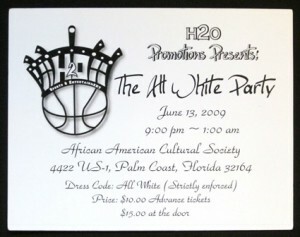 For your next event, consider the lowly postcard, a print medium with a rich and varied history. 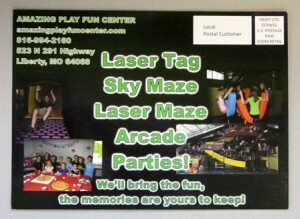 Call us today at 816-459-7552 to discuss your next postcard project.